PdaNet Apk is another great android application which can turn your android device into a wifi router without usage of any extra data charges. 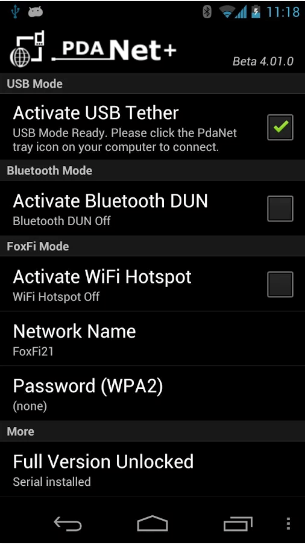 PdaNet includes both Pda and foxfi features, As a PdaNet, it can be connected through USB mode and Bluetooth. And As a foxfi it can be through wifi mode with other devices. 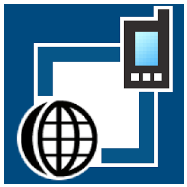 Pda Net enables you to turn your android device into a wifi source through which you can use internet on your computer, tablet etc without any extra tether plan. No rooting is required for using pdanet. Turn your android device into a wifi router without any extra tether plan. Use it as a PdaNet and connect other devices with your Android phone through USB or Bluetooth. Or use it as foxfi and turn your Android device into a wifi hotspot. If PdaNet Apk is not compatible with your android device then Check out Wifi Tether Router Apk too for turning your android device into a wifi router. 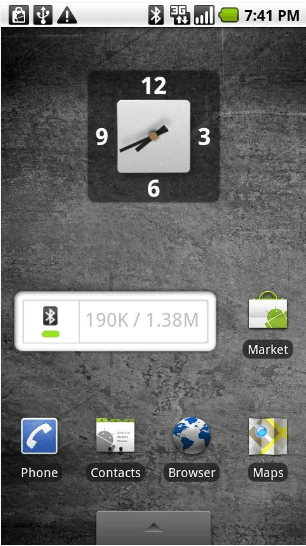 This mode work perfectly on almost all android devices. you can easily connect your windows pc or mac book with your android through this mode. USB mode comes with an extra “WiFi Share” which will in turn change your mac or pc into a wifi source. Please treat Windows tablets (non RT) the same as Windows PC. Bluetooth mode includes connection with PC, MAC and other android devices (excludes Android 4.4) or device that supports Bluetooth DUN. A system bug in Android 4.4 for tablets will break Bluetooth mode, this is fixed in Android 5.0 or later. For Android tablets it is possible only the browser app will work in Bluetooth mode. That is because other apps may be looking for wifi or cell phone connection and not recognize the Bluetooth Internet. One way around the above two issues is to find a wifi hotspot to connect the tablet to at the same time (such wifi hotspot does not need to provide Internet access). —Verizon Samsung phones (S3/4/5/6/7/Edge, Note 2/3/4/5 etc.) , Verizon LG phones (V10, G2/3/4/5 etc.) and Verizon Sony phones (Z2/Z3) are supported by all Android versions including Android 6.0/6.1. To get around lockdowns on WiFi mode FoxFi may prompt you to install a certificate on your phone, this will cause the Android system to enforce a screen lock and show a security message in notification. For more detail and steps to remove screen lock please visit http://pdanet.co/wifi.